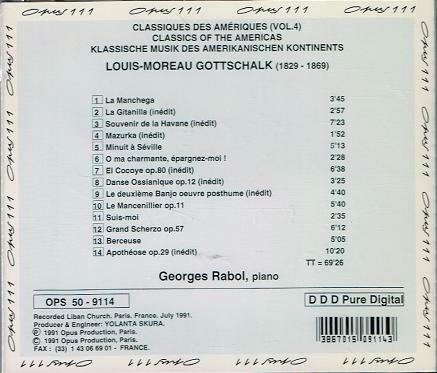 "The French pianist, Georges Rabol, was born of father inhabitant of Martinique. He studied music first with Jean Courbin and Lazare Lévy; then entered the Conservatoire National Supérieur de Musique de Paris, where he studied piano, harmony and counterpoint. After finishing his studies, Georges Rabol has given numerous concerts all over the world, in recital and in chamber music with renowned soloists as F. Lodéon, F. Fontanarosa, Mr. Maïski, G. Caussé, A. Flammer, I. Gitlis, G. Zamfir, etc. 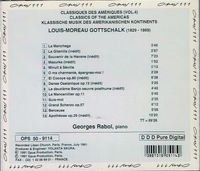 Georges Rabol's multiple gifts also led him to compose for the ballet, the theatre, the cinema, the radio and television: Roland Petit (Parisiana 25), René de Obaldia (La Baby-Sitter, Le Banquet des Méduses), Luis Bunuel (Le Charme Discret de La Bourgeoisie, Le Fantôme de la Liberté, Cet Obscur Objet du Désir), Med Hondo (West Indies), Radio France (Fantaisie Ballet, work for symphony orchestra), Jean-Christophe Averty (2 Dramas), etc. From the beginning he was interested in the musical writing and recorded many discs of his own compositions (Baroque Jazz Trio, Aenaon, Alchimie…), beside specific orders such as virtuoso pieces for flute and piano (Songe Caraïbe) or a suite in septuor created for the Opéra de Marseille. 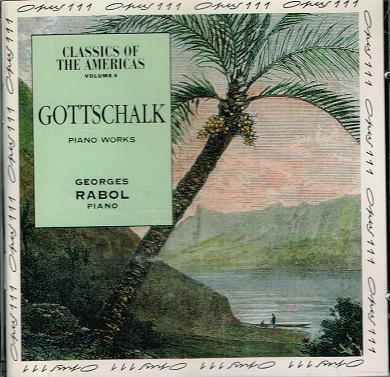 His original course led Georges Rabol from Baroque to Jazz, through the Romantic period, the French music and the musical richness of Americas: Gottschalk, Gershwin, Piazzolla, etc. He can be defined as a cross-over artist, who handles with brilliance all the musical kinds, on the interpretation level as well as on the composition level. His mixed Antilles-European blood makes it natural for him being interested in all the kinds of music."